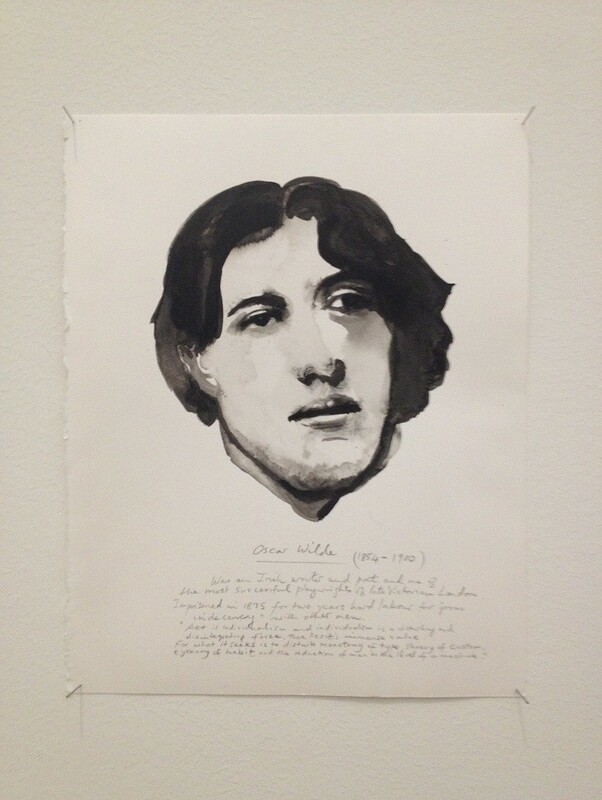 Amsterdam’s valhalla for modern and contemporary art, the Stedelijk Museum, currently hosts a major solo exhibition of Marlene Dumas. Paintings and drawings in her immense oeuvre are characterized by human forms by sketched in loose, broad strokes using a muted pallette, the result of which is highly emotionally charged. Dumas is often inspired by photojournalism from newspapers and magazines, thus rendering an oeuvre that reflects our contemporary culture’s obsession with images. “This is a time of images, not of paintigs,” she sais in a documentary shown at the Stedelijk Museum. After almost six years in France Spouse and I are moving to the Netherlands. One of the things I will miss is what has become known as “the French way“: a great work life balance through long lunches, breaks and lots of chatting during work hours. This might be a sweeping generalization but I’d like to believe this still exists in our busy busy world. 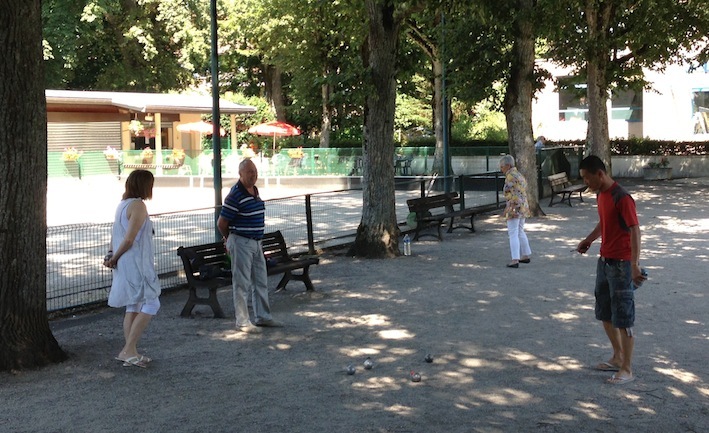 Our overloaded lives could use some time at leisure, in the shade of a few trees, playing jeu de boule in the sand. “Do you have your passport? And don’t forget to bring a sweater. It can be really cold in those airplanes.” Our French cleaning lady has taken charge of our household and our lives. She tells us off when we’re late for work, warns us for eminent dangers on French highways and always knows best where it concerns our household. Others fuss over us too. Neighbors give me unsolicited advice about our hedge (“it really needs a trim”) and our garden (“is it meant to look that messy?”). The postman has showed concern about the design of the nameplate on our mailbox (“really weird”). Villagers informed me I walk my dogs too much (“just chain them in your yard”) and that I pick up too many of their droppings (“leave it!”). A complete stranger told me off for biking with my dogs. “Think of their little feet!” she yelled before she nearly caused a traffic accident. Interestingly, fellow foreigners have complemented me on my bike’s special mount that enables dogs to safely run along. After a careful study of local meddling in this part of France I’ve come to the conclusion that approximation to Switzerland is partly to blame. Being quite opinionated, a quality that many French have, has become mixed with the Swiss tendency to overorganize. It affects the entire population. “Are you sure you locked the front door?” a ten-year-old asked me when she saw me leaving. The trick is how to deal with these well-intended interferences with my life. “Mind your own business” (cela ne vous regarde pas) is considered rude and so is the playful “mind your own onions” (occupez-vous de vos oignons). But “i’ll manage” (je me debrouille) isn’t nearly strong enough. Turning a deaf ear seems the best solution. “The kitchen should be cleaned twice a week,” our cleaning lady reproached me recently, “at the very least.” As she rambled on, I thought of raindrops on roses, whiskers on kittens and anti-tank grenades. By the time I’ll leave our village I’ll be stone deaf.